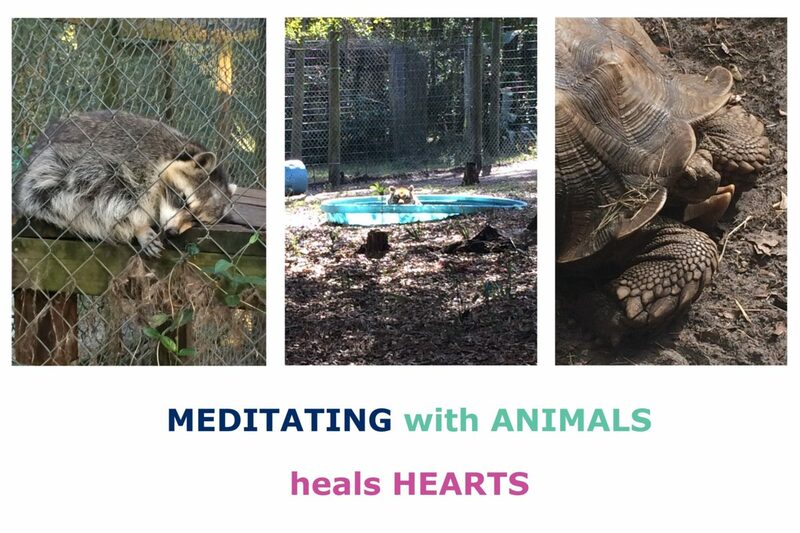 The above image features some of the unique animals I have been blessed to share meditation with when I visited The CARE Foundation in Florida (USA) in February 2016, to complete Animal Reiki teacher training. Left to right: Louise the raccoon, who lives with and has raised 3 domestic cats and a bobcat- including teaching them to use a litter tray! Balshoy the Tiger who’s love for the founder of Care, his rescuer, Christin was palpable and so beautiful to witness. Goliath the Tortoise- the animal I unexpectedly had the deepest connection with on the trip. Pay upfront for 6 sessions and receive the 7th session FREE! Additional charges may not apply for extra animals in the same household. Pricing below applies for suburbs within a 12km radius of Perth. (A surcharge may apply for suburbs outside this range). * Please connect with me for further details. Allow 50- 60 minutes (40 minutes Animal Reiki plus before/ after consultation). Reiki sessions for your beloved animals are provided at your home, ensuring your animals comfort. Reiki provides a deep sense of relaxation, facilitating healing on all levels, body mind and spirit. Reiki is particularly useful for animals whom are stressed, recovering from or currently suffering illness, preparing for surgery, after surgery, experiencing pain, before/ after any other upcoming stressful situations (i.e. travel, moving house, a new animal entering the family), have had a difficult past (i.e. may have come from an animal shelter). Reiki can also be used to provide comfort and support at the time of transition, i.e. leading up to and during euthanasia/ a natural passing. Reiki in this circumstance brings love, acceptance and peace to all involved and may aid a gentle passing for your animal. Positive signs that the animal is responding to the treatment include: yawning; stretching; becoming still/quiet; sleeping; renewed interest in food/ water; becoming playful or an increase in energy (especially where previously quiet); a relaxation of sorts in their personality (i.e. you may notice they become more comfortable in the presence of visitors, less afraid of loud noises, etc. ), even a bowel movement (which in itself is another form of ‘letting go’). You may also find answers to your questions about Animal Reiki under the FAQ section of this website. Or you may wish to view the Pause testimonials page. That’s why 5% of all proceeds are donated to your choice of 1 of 3 different animal charities in Perth. Your selection will be requested as part of the initial consultation.